What if 3D printing was faster ? Fast 3D printing is an important aspect in the market. 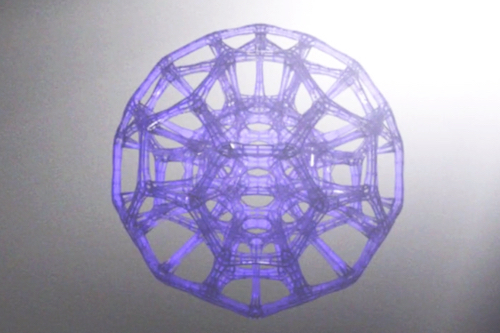 3D printing allows to build complex objects from almost any kind of material, mostly plastics. This additive manufacturing process, adding layer on top of layer of 3D printing material, has yet a major drawback: it is slow. That’s why many companies are working on new fast 3D printers and fast 3D printing technologies. 3D printing the 50 mm diameter object on the left with regular techniques, such as Filament Fused Fusion (FFF) or Stereolithography (SLA), takes between three to eleven hours. Bigger objects can take several days to print, even with a 3D printer working day and night. Thus, fast 3D printers have a huge competitive advantage. Several companies introduced new technologies for speeding up the 3D printing process. Those innovations work with plastic based materials and rely on continuous printing technologies. As explained on Carbon3D website, CLIP is a chemical process that balances light and oxygen to selectively photo cure liquid resin. It works by projecting light through an oxygen-permeable window into a reservoir of UV curable resin. The build platform lifts continuously as the object is grown without requiring more time-consuming steps. By controlling the oxygen flux, CLIP creates a thin layer of uncured resin between the window and the object. This thin layer is called by Carbon3D the “Dead-Zone”. This makes it possible to grow the object without stopping. A continuous sequence of UV images is projected and the object is drawn from the resin tank without interruption. This process is 25 to 100 times faster than usual 3D printing techniques. An additional advantage of the CLIP technology is the resistance of the 3D printed objects, with no weaknesses between layers. 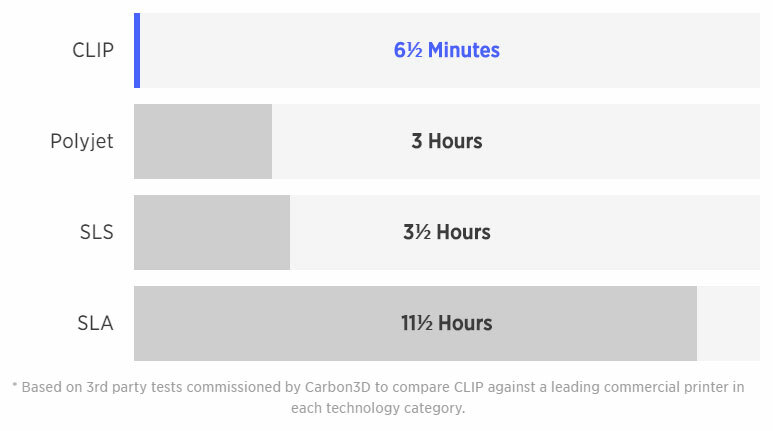 CLIP 3D printing speed comparison chart. Continuous Liquid Interface Production (CLIP) technology diagram. Gizmo3D is an Australian based company directed by Kobus du Toit. Their products use a top-down Digital Light Processing (DLP) 3D printing. In their line of 3D printers, the projector curing the resin is located above the resin tank. This position avoids the suction issues, usually happening with other 3D printers using a bottom-up 3D printing process. The build plate of the printer continuously moves downward during the fast 3D printing process, with no interruption. Gizmo3D patented their “secret” technology and will offer it as an option after beta testing. The 3D printing process “animated printing” is twice fastest with this “secret” technology than without. The computer and printer giant Hewlett-Packard revealed in 2014 their first 3D printer. This machine uses their patented Multi Jet Fusion (MJF) technology to open new possibilities. The 3D printed objects are resistant, detailed and fast to print. The company claims a dramatic decrease of the production time. MJF is 10 times faster than Selective Laser Sintering (SLS). 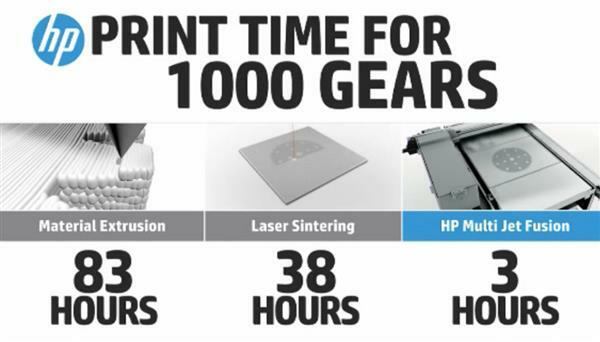 The Multi Jet Fusion technology by HP is up to 25 times faster than other 3D printing technologies, such as extrusion. HP Multi Jet Fusion speed performance comparison. Carima is a South-Korea based 3D printing manufacturer. Their 3D printers use an innovative Digital Light Processing (DLP) 3D printing. The C-CAT (Carima-Continuous Additive 3D Printing Technology) is a super fast 3D printing technology. Like Carbon3D’s CLIP process, C-CAT is a continuous DLP technology that can produce objects at an amazing speed. According to Carima, C-CAT technology can print 60cm3 per hour with a layer thickness of only 0.001 mm. C-CAT offers incredibly fast 3D printing compared to existing speeds of DLP 3D printing (which are around 2-3cm3 per hour @ a layer thicknesses of 0.1 mm). The 3D printing process C-CAT is up to 400 times faster than regular DLP 3D printers. NewPro3D is a company based in Vancouver, Canada. They introduced in late 2015 their super fast 3D printing technology. 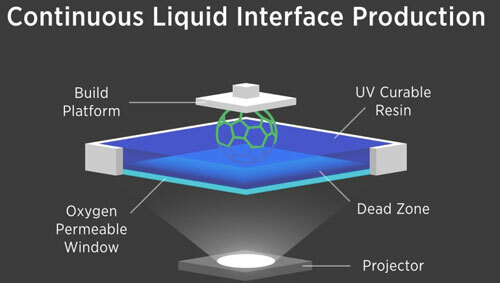 The ILI Technology stands for Intelligent Liquid Interface. NewPro3D explains that their innovation relies on a “transparent wettable membrane between the photo-curing resin and the light source” that allows to grow an object continuously at an amazing rate. They claim they can achieve 3D printing speed up to 150 times faster than SLA (Stereolithography) and 40 times faster than PolyJet 3D printing technologies. The ILI Technology by NewPro3D is up to 150 times faster than SLA.